Rohan Clark and I have just completed a week long trip from Melbourne to Alice Springs via Coober Pedy, Oodnadatta, Mount Dare and Old Andado station. 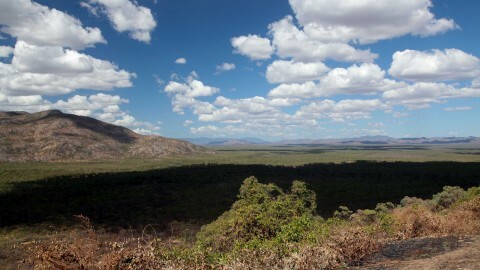 We were particularly targeting some of the desert rodents and dasyurids as well as mopping up some birds. Conditions were largely pretty good where the country had not been overgrazed but is certainly showing signs of deteriorating as it will now get hotter. We traveled/birded during the day and then drove long evening drives using a combination of car mounted thermal camera and traditional spotlighting. The thermal camera was particularly effective in areas with low vegetation or cracking soils. Over the course of the week we did over 200km of slow night driving. I have since flown home with Rohan sticking around in Central Aus for a family holiday. Kultarr – Found two animals mating at 2am in the thermal camera after a long drive near Old Andado. Another animal found by spotlight the next night. Several possible as well. 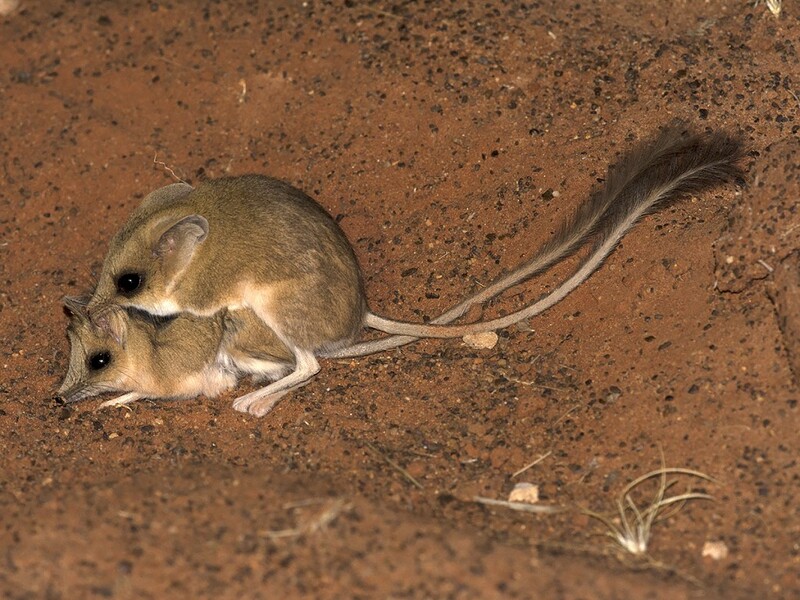 Fat-tailed Dunnart – seen at Oodnadatta, Mount Dare and Old Andado. Black-footed Rock-wallaby – Olive Pink Botanic Gardens in Alice Springs. Western Grey Kangaroo – single live animal in the Riverlands region of South Australia. Red Kangaroo – roadkill certainly outnumbered the live animals. Euro – a few road kills, finally saw a live animal in Olive Pink Botanic Gardens in Alice Springs. 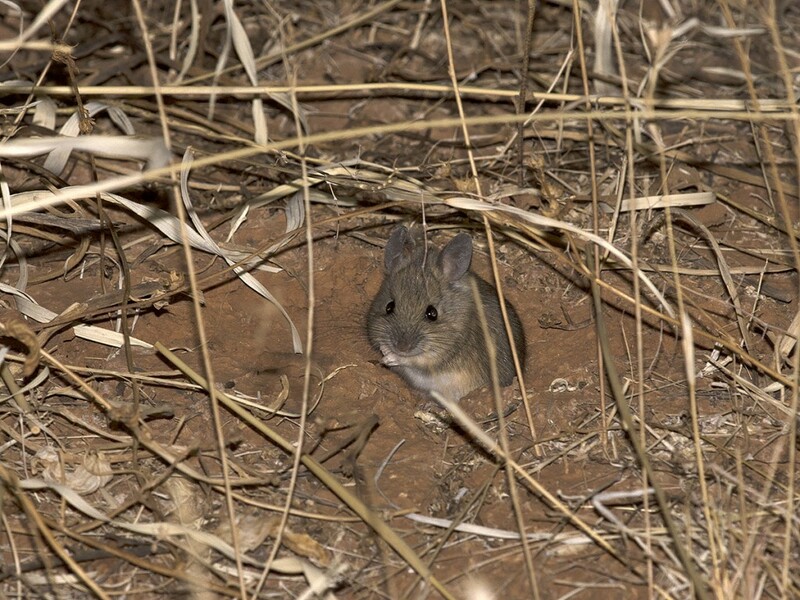 Spinifex Hopping-mouse – common around Mac Clark and Old Andado – in one area we counted over 50 animals in a couple of hundred meters of driving. 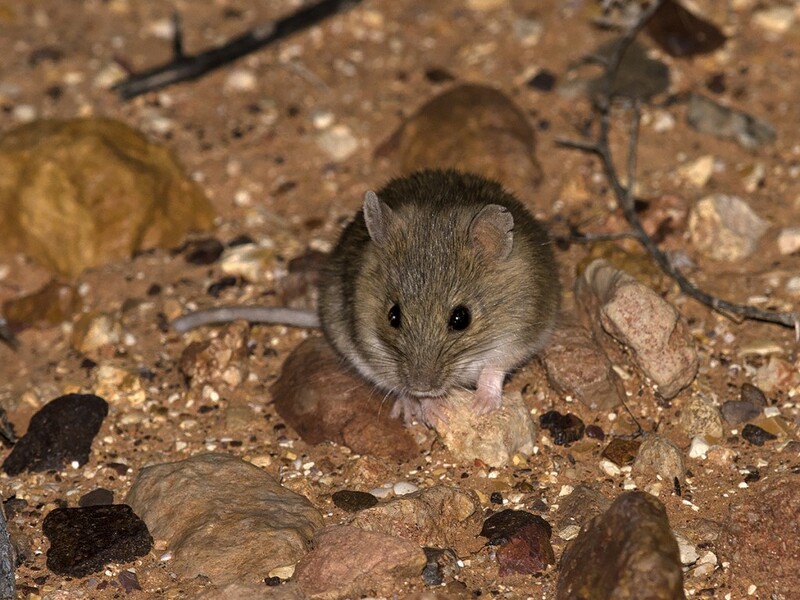 Desert Short-tailed Mouse – three animals at different locations on cracking soil between Oodnadatta and Mount Dare. 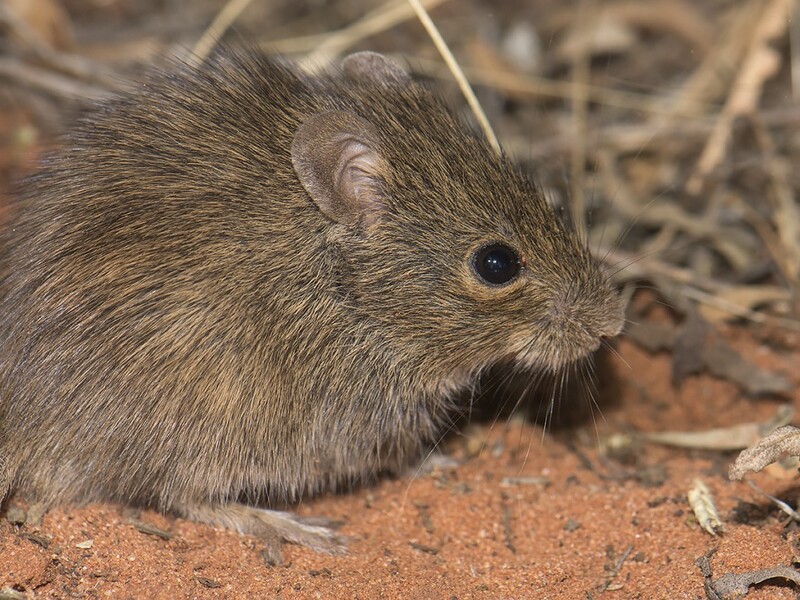 Plains Mouse – colonies found on the plains near Mount Dare and near Mac Clark – very cool, charismatic animal. Bolam’s Mouse – single animal found with thermal camera near Glendambo – several other near misses that evening in the same area. 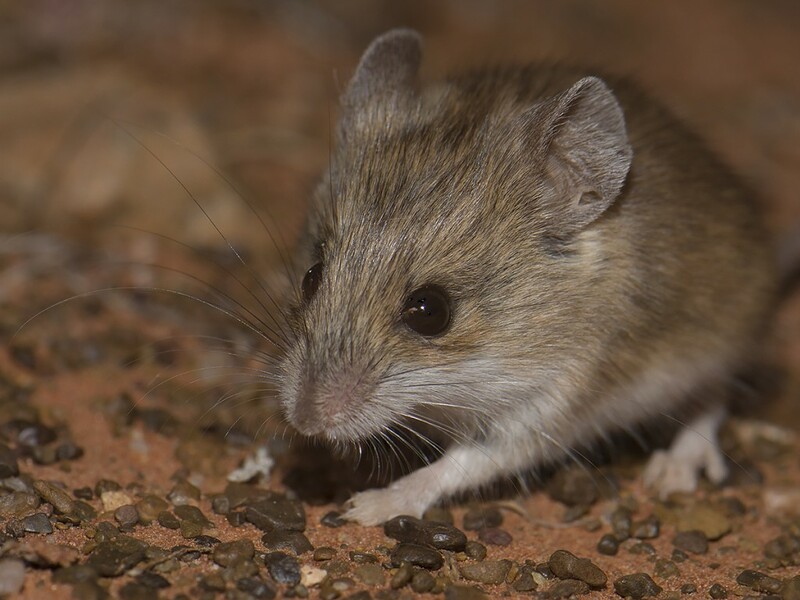 Desert Mouse – one animal in spinifex on the edge of a dried lake bed west of Erldunda. Sandy Inland Mouse – Perhaps surpringly just a couple at Mac Clark and Old Andado. House Mouse – Patchy – odd animal near settlements and quite common west of Erldunda. Rabbit – just a few in various places. Of course there were plenty of misses, particularly of animals seen on thermal camera but then bolting down holes and cracks. Some bats picked up on bat detector that still might be sorted out. Lots of tracks and scats of things like camel but no sightings. 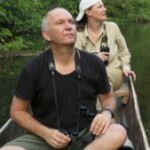 Coupled with some great birds this was an excellent trip. Thanks Tim. I love that country around Old Andado. Great report and fabulous pictures! Jealous as, Tim!!! Very nice pics. Will have to bank your report for a future inland trip.